You don’t need to worry whose call you missed or wonder who your teen keeps texting. Unknown numbers on scraps of paper are no longer unsolvable mysteries – a reverse phone lookup tells all the information you need in total confidentiality, using just the 10-digit cellphone or landline number. You missed a call from a number you don’t recognize. Is it just a telemarketer or is it an extension from your medical center? A reverse phone lookup can tell you if you need to call them back. You find a scrap of paper on your desk with just a first name and a phone number on it. You don’t know if this is the number your friend gave you for a great acupuncturist or if someone just dropped it there by mistake. Use a reverse phone lookup to find out. Someone keeps making harassing phone calls to you and hanging up as soon as you answer. Use reverse phone lookups to find out who they are so that you can do something about it. Your teen’s cell phone bill shows dozens of texts to a non-local number. 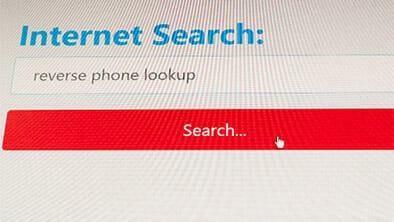 Reverse phone lookup will tell you who the number belongs to so that you can check up on who your teen is contacting. How to Run a Reverse Phone Lookup? Running a reverse phone lookup requires nothing more than the phone number. The easiest way to run a reverse phone lookup is to enter the digits into Google and hit search. If that doesn’t populate results, you can use free online telephone directories or cell phone directories to run a reverse phone lookup search. What Information Can You Get from a Reverse Phone Lookup? 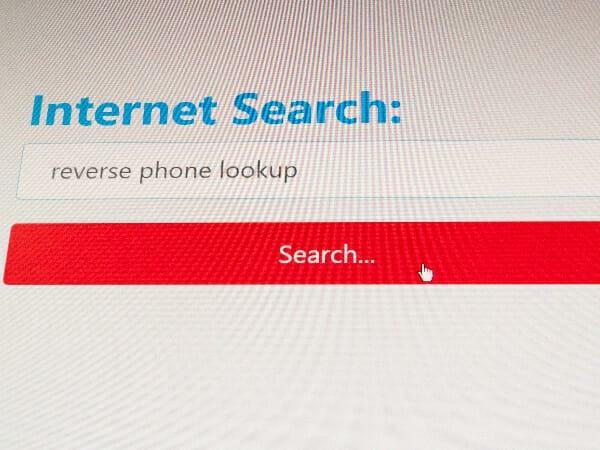 While you can use online tools like Google and online phone directories to do a reverse phone lookup, a background check website is the best way to do it. Here are some of our recommended background check websites for reverse phone lookup. Reverse phone lookup is one of the basic search options for a background check through BeenVerified. You can discover the caller’s full name and aliases, their current and previous addresses, social media profiles and public photos, the caller’s age, and extra contact information like email addresses and other phone numbers. Once you have that information, you can choose to dig deeper through BeenVerified and get extra details like criminal history, relatives, marital status, and more. You can access BeenVerified’s reverse phone lookup through the website or the iOS or Android app. A one-month subscription for three searches per month costs $26.89, or get unlimited searches when you subscribe for three months for $52.44. If you really want just one report you can pay $29.95 for a one-off. It costs $9.95 per report to upgrade to a Comprehensive Report upgrade for even more in-depth information. Sign up with BeenVerified here. A reverse phone lookup using Intelius will give you plenty of accurate information about your mystery caller. You only need the phone number to learn the caller’s phone carrier, full name and age, any known relatives, the caller’s previous addresses, and their current location. If you want to take that information and run a full background search, you can also discover if the caller has any criminal records, their marital status, liens and bankruptcies, lawsuits, and more. Intelius also offers reverse email lookup, deep criminal records search, or full people search. You can buy a one-off phone lookup report for $19.95 or expand to a full people search for $49.95. A one-month subscription costs $19.95, or you can buy a 24-hour unlimited search pass for the same price. Sign up with Intelius here. TruthFinder’s reverse phone lookup will reveal the full name of your mystery caller as well as their exact location at the time, their cell phone carrier, and demographic information. Once you’ve discovered the caller’s basic identity you can choose to run a standard background search which will give you extra information that includes the caller’s known aliases, full date of birth, relatives, social media accounts, and other contact information like email addresses and criminal records. You can find out even more if you pay for a deep background search that tells you about the subject’s educational and employment history, traffic accidents, bankruptcies, weapons permits, and more. A month’s subscription for reverse phone lookup only costs $2 for unlimited phone searches. A one-month membership costs $27.78 for unlimited standard searches, or you can get a three-month membership for under $60. Sign up with TruthFinder here. With just a landline or cell phone number you can use Instant CheckMate to discover everything you wish to know. A reverse phone lookup on Instant CheckMate will tell you the caller’s full name, their cell phone carrier, exact location, and extra demographic data. With this information, you can go on to run a full Instant CheckMate people search which will give more details like their marital status, full date of birth, criminal records, and social media profiles as well as current and previous addresses. Instant CheckMate can be used online through the website or via smartphone on the iOS or Android app. A one-month subscription with Instant CheckMate costs $34.78 for unlimited standard background checks, or you can pay $83.47 for three months. Sign up with CheckMate here. Running a reverse phone lookup is easy, reliable, and low-cost when you use a background check website like one of the four we recommend. You don’t need to waste time trying to work out whose number is on that scrap of paper or worrying whose call you missed – just run a reverse phone lookup and get all the details you need.